Hi Everyone, and welcome to Be Inspired! There are so many things I love about blogging, and getting to see parts of the country that I've not seen before is one of them. 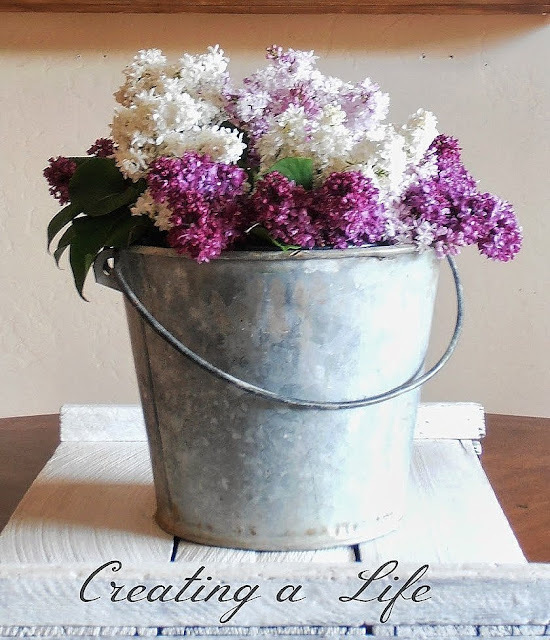 Jeanette from Creating a Life was in search of Lilacs, so she took us along on a family excursion and shared the sights of the day. She had two posts, that not only were filled with beautiful photos of her local Colorado scenery, but her kids were with her and I'm sure it made wonderful memories for them all. Her posts are always like visiting your favorite magazine! from a graphic and added stenciling for a wonderful hand painted look. What a wonderful new look! 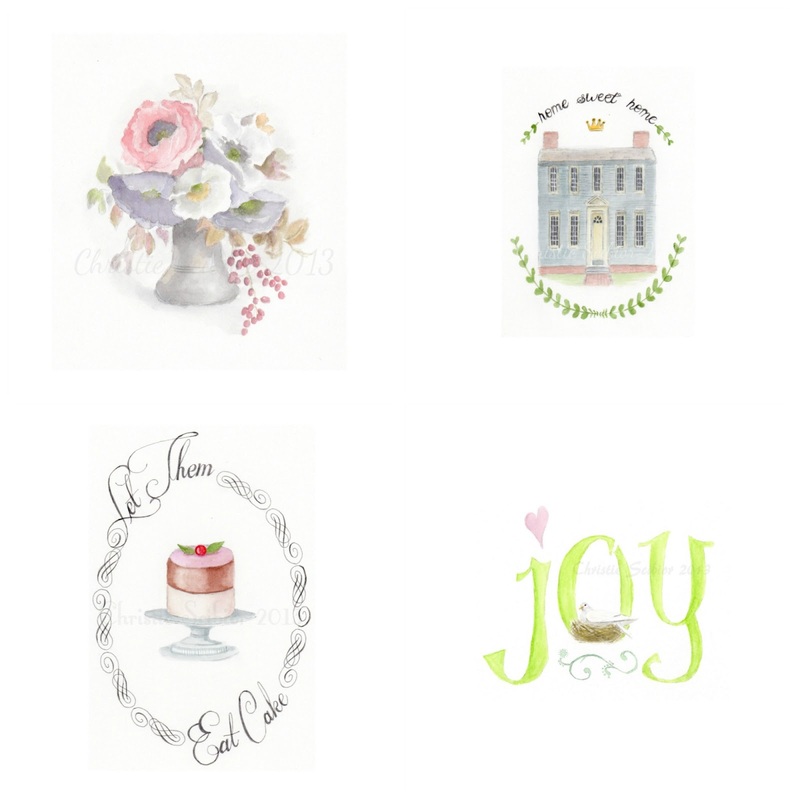 who has new designs in her shop that you'll love. Here's a little collage sampling of what you'll find in her shop. 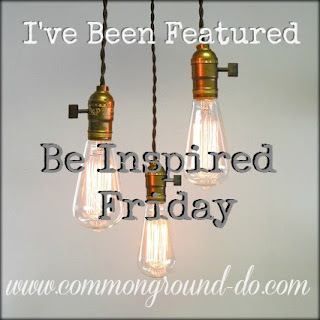 Hope you'll join in on the party today, Be Inspired is now open to all inspiring posts, not just Vintage. Please have a link to Common Ground within your post to be featured. And if you've ever been featured, feel free to grab the image below. and while you're out check out these other fun Friday parties! So much inspiration each week Debra! Thanks for hosting! What beautiful features! Thank you for hosting once again Deborah! Great features, Debra! 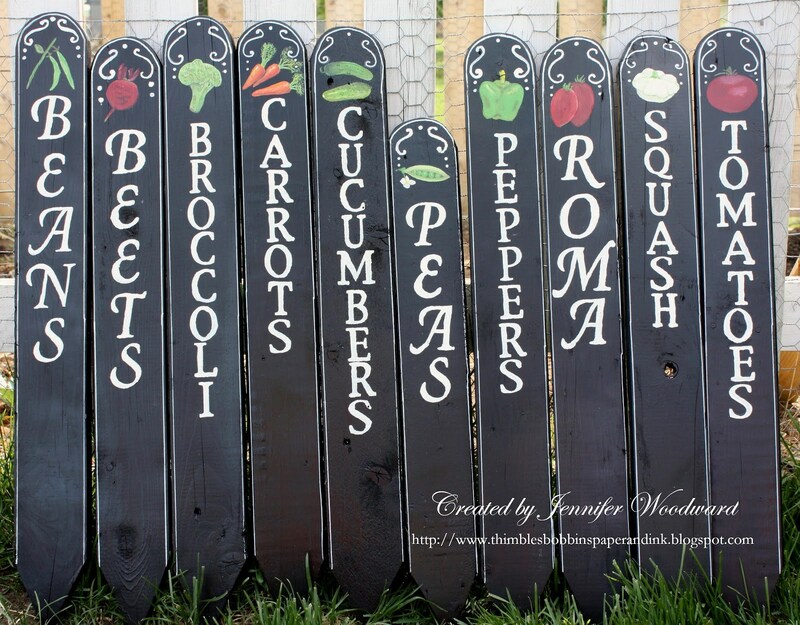 Love those plant markers. Thanks for hosting! So much inspiration . . . I'll be back later and study each photo for more details. These are great!!! Thanks so much for hosting Debra - hope you have a great weekend! Thanks for hosting, Debra. Have a fabulous weekend! I have lilacs this week, in fact they are overflowing! Those lilacs are gorgeous, and who wouldn't enjoy soaking in that beautiful tub? Thanks so much for hosting Debra. Debra, this is always a party full of inspiration. Thanks for hosting each week. Your features are fab! I love lilacs, too and I am inspired by the fact that they are edible. Today I am sharing how to make lilac-scented sugar. Thank you for having me, Debra! There is so much inspiration here I can hardly stand it! And the lilacs are heavenly, I really wish I had one! Debra, I can't tell you how my heart needed this bit of affirmation this morning. I appreciate your kindness so much! Gorgeous lilacs. Thanks for hosting! 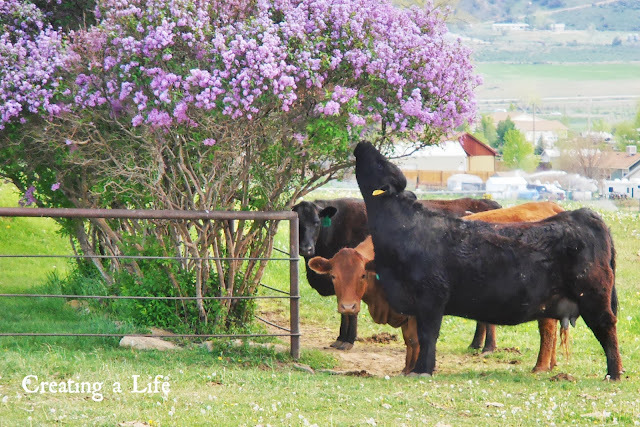 The cows with the lilacs are so cute! Thank you for hosting and for joining me at Home Sweet Home! Thanks for hosting your inspiring party, Debra, and thanks for visiting my garden posts this week too. Lilacs are everywhere and they're lovely! Thanks for hosting! Hello Debra! Great features as always, so wonderful blogs to visit right now. Those plant markers are so cute! Thanks for hosting every week! Wow, Debra. There are way too many enticing posts here tonight! How am I ever going to get off the computer and get my projects worked on? Thanks for the party. It's always lots of fun! I love all the inspiration you featured this week. Thanks for being such a wonderful hostess. Many thanks for having me today. Hope you have a beautiful Friday. What beautiful inspiration! Thank you for hosting. Have a wonderful weekend. So many great features this week, Debra! I'm off to investigate. Thanks so much for hosting this week's party. thanks for always being an awesome hostess Debra! Love all the spring inspired features Debra. Thanks for hosting each week. Lovely features! And I love the lilacs :) Thanks for hosting! So much inspiration - all in one great place. Thank you for hosting. Such lovely lilacs...all of the features are lovely actually! Thanks for hosting! Thank you so much for hosting. Hope you are having a good week. Wow, Debra, thanks so much for featuring my flower can. It's always a pleasure to link up. Thanks so much for hosting the party every week. Love this weeks features Debra! I'm a little late, but happy to be joining the party! Thanks for hosting! Those features are beautiful. That cow with the lilacs?? Love it! Hi Debra, I forgot to mention I did get the cursive stencils from Michael's that I used on my flower can. They are by Martha Stewart. I see them there all the time. Oh, my! 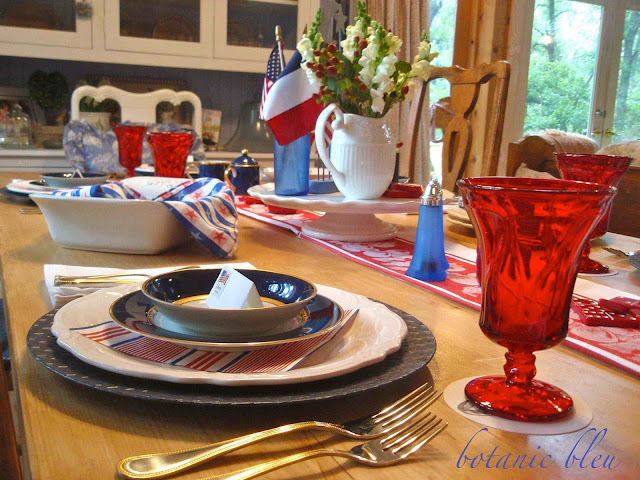 What a thrill to go to Common Ground and find my Patriotic Celebration Table featured. Thank you so much, Debra. Thank you also for your regular visits and comments to my blog. I look forward to seeing your smiling face and hearing from you. Can there be too many, "Thank yous?" I think not. So, thank you also for hosting this wonderful party that inspires me each week. Debra, you inspire the best. How do you find the time to put together such beautiful postings. I went back and read some of your older postings so I could catch up with all that you inspire. 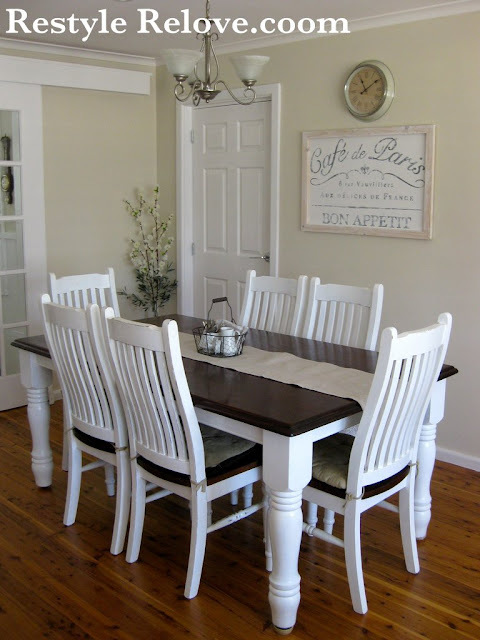 Love the new paint job and all the little changes you make to you sunroom and home decor. Blessings to you my sweet friend, and beautiful recovery to your husband. Have a beautiful weekend and a perfectly inspiring June your way. Beautiful inspirations:) Have a blessed weekend, HUGS! Debra, another beautiful Friday party with beautiful features! Thanks for hosting! Such lovely lilacs and the Lemon tart I want to try. Love lemon especially this time of year. 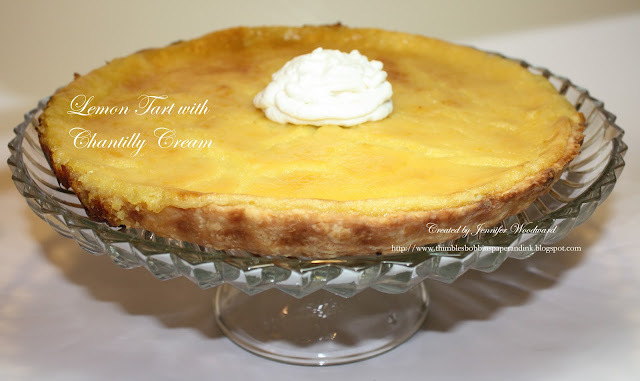 Your pictures are so beautiful, I am taking a third take of them, and especially the tart. Oh Debra, you've made my morning! 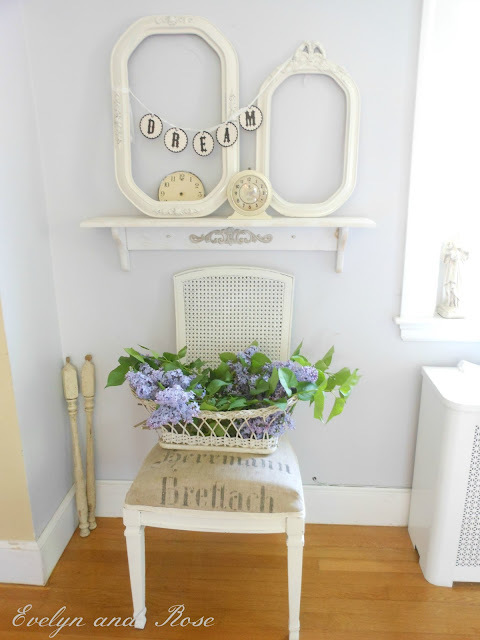 Thanks so much for featuring my lilac post and for your kind words. I think we all are lovin' lilacs this time of year. I haven't had a chance to post anything this week, but will be back for sure next week. I always love your party! Debra, I have a love/hate relationship with these great Friday posts. I love seeing all the great ideas folks come up with and actually do and I hate myself for being such a slug for not following through when I get a brain fart. It's always fun to see what is new. It is always a joy to visit and share in the creative fun. Thank you for hosting and sharing the beautiful watercolors by Christie Scibior, LoVe them! Although I have followed your blog for a long time and visited blogs at the party, I don't know that I have ever shared a post. There is always a first time. Thanks for hosting and having me at the party. I always love your beautiful post! Thanks for the party.. Lavenders are always so beautiful. 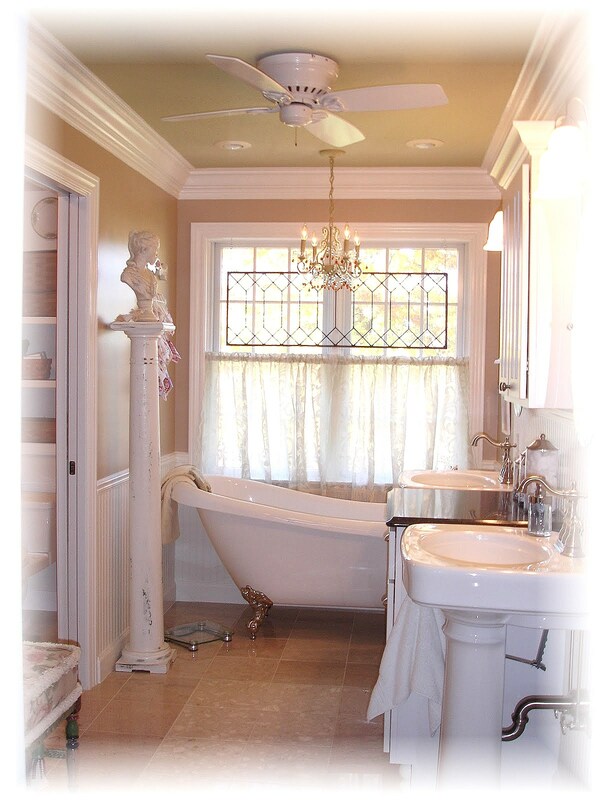 I really want to take that vintage bathroom and make it mine. There are not words for how much I adore the vintage bathtub. After viewing your post I feel very inspired.